Motorists to pay for ESB charging from next Spring. The charges are expected to be introduced next Spring. 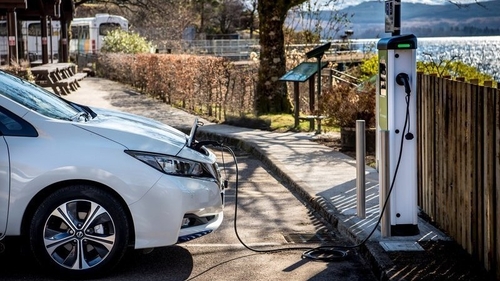 It has been expected for some time and now the ESB has confirmed that motorists will have to pay for charging their electric cars from next year. The costs have yet to be decided. At the moment, charging an electric car at a public charging point is free but there was never going to be any such things as a free lunch. The ESB announced this morning that charges will be introduced from next year for the use of its charging network at garages and public locations in various parts of the country. It says it will be investing in the charging network and exploring the provision of super fast-charging units, which would accomodate between two and eight cars at a time. In a statement, the company said: "Fees for the use of the charging infrastructure will be introduced in 2019 to fund the maintenance and development of the network. Following relevant upgrades, fees for the use of fast chargers (50kW) will be introduced in 2019 and the AC standard charger network in 2020. We will consult and engage with EV drivers and stakeholders in advance of fees being introduced. The ESB says it is looking at expanding fast-charging facilities. The statement said the ESB "is currently looking at developments in charging technology, including the feasibility of super-fast charging hubs. These hubs would cater for two to eight vehicles charging simultaneously and offer drivers higher charging speeds, resulting in reduced charging times and faster journeys". The news will be welcomed by those driving electric vehicles, many of whom are hampered on their journeys by charging units that often don't work and are limited in number. Some drivers complain that charging bays are also often occupied by non-electric vehicles. Issues like this add to range anxiety, even when the driver has carefully planned their route and charging stops. Sources have told RTE Motors that it is likely the Energy Regulator will set the charges to be levied for electric car charging and that the ESB will have to apply for its rates to be sanctioned. The ESB has not given any further detail about the proposed charges but it is expected they will be in place in the Spring of next year. Ireland currently lags behind other European countries when it comes to the development of charging stations. One charging station near Oslo has 28 fast charge points. The Republic of Ireland has 1200 charging points, of which only 70 are fast chargers. Northern Ireland has 17 chargers, also supplied by the ESB. The ESB says most people spend up to 25 minutes at their chargers to reach 80 per cent power for their car. The ESB provided the first 2,000 applicants for home chargers with free appliances but there is now a charge for installation, towards which the Sustainable Energy Authority gives a grant of €600. Any private owner who buys an eligible EV in 2018 or later is eligible to apply for the grant. The property cannot be associated with a previous EV vehicle grant and charge point offer. For example, it can not have availed of the free ESB Ecars home charger pre-2018. Applicants should not commence any work before the start date on your Letter of Offer otherwise this expenditure will be deemed ineligible and you will not receive grant support for it. Second-hand cars where ownership by the applicant occurs in 2018 or onwards are eligible.